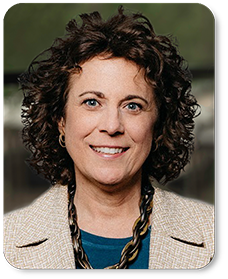 Nancy Ervin is a Managing Director in the Consumer & Retail group at Capstone Headwaters, where she advises owner-operators in the food, beverage and agricultural industries. Prior to Capstone Headwaters, Nancy was a partner with Baker Peterson Franklin, CPA, LLP where she focused on valuation, cost accounting and strategy development primarily for clients with diversified ag businesses, including grower/packer/shippers, food processors and marketing companies. Prior to her career in public accounting, Nancy worked as a commodity trader at Wilbur-Ellis Company in the feed division.